Join us for our April Chapter Meeting! 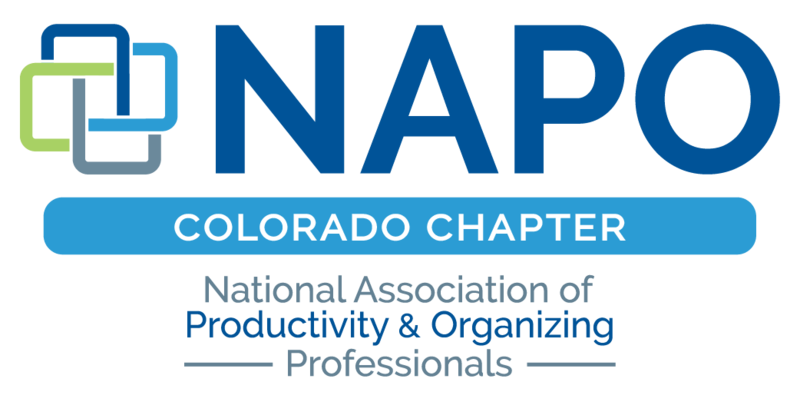 "Unleashing the Organizer Within Your Client"
April 2, 2018 4:30-7:00 p.m.
Michelle is a long-time member of our NAPO Colorado Chapter. Michelle specializes in workplace productivity training. She will present "Unleashing the Organizer Within Your Client" which will help us understand the personal learning style of our clients, to determine how they process their information and learn best. This understanding helps us choose the best tools for our clients to improve their productivity.